The gigantic steer stands over 6 feet tall and weights more than a ton. Knickers the steer is huge on the internet — for being huge. The black-and-white Holstein Friesian won social media fame and many proclamations of "Holy Cow!" 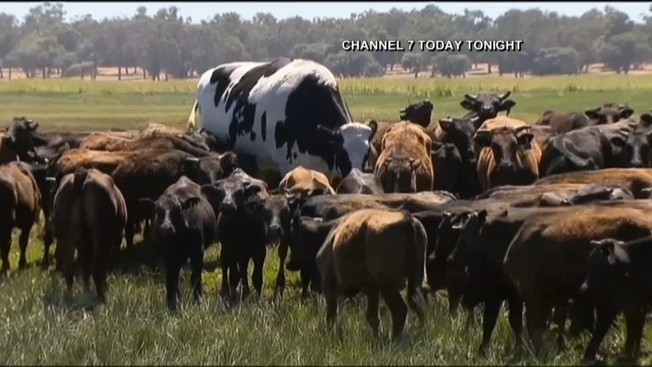 after photos surfaced of the 194-centimeter (6-foot-4-inch) steer standing head and shoulders above a herd of brown cattle in Western Australia state. Owner Geoff Pearson said Knickers was too heavy to go to the slaughterhouse. 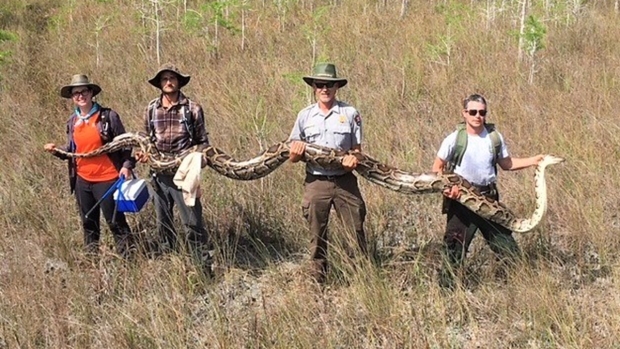 "We have a high turnover of cattle, and he was lucky enough to stay behind," Pearson said. Australian media say Knickers is believed to be the tallest steer in the country and weighs about 1.4 tons. Instead of becoming steaks and burgers, 7-year-old Knickers will get to live out his life in Pearson's fields in Lake Preston, southwest of Perth. The sizable steer had Twitter users enthralled, including Chrissy Teigen, who wrote, "this is why I buy internet on flights." So....... you're saying the steaks are high.